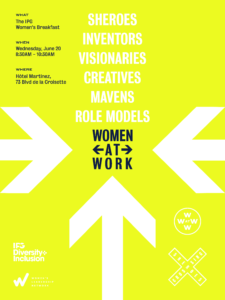 On Wednesday, June 20, 2018, IPG hosted its eighth annual breakfast at Cannes. The program “Women at Work” celebrated “sheroes” who have changed the world through their excellence, perseverance and passion. The program was hosted by Michael Roth, Chairman and CEO, IPG, and introduced by Gail Heimann, President of Weber Shandwick, IPG’s leading global public relations firm; Weber Shandwick worked with client Mattel to launch the “Shero” line of Barbies. The “Shero” concept shines a light on empowering role models who inspire girls. Heimann was joined on stage by US Olympic Fencing Champion Ibtihaj Muhammad, the first Muslim-American female athlete to medal at the Olympics, and one of the models for the Shero dolls. 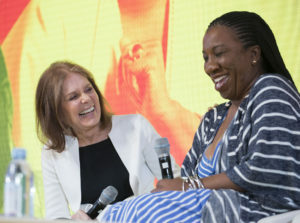 IPG’s program concluded with a newsmaker interview, featuring Gloria Steinem, Writer, Lecturer, Political Activist, and Feminist Organizer, with Tarana Burke, Civil Rights Activist and Founder, #MeToo, moderated by BBC’s Zeinab Badawi.